Why progress in one zone when you can progress in two? We took our first guild steps in Serpentshrine Cavern two weeks ago for a quick look-see after a Gruul’s Lair clear. Last week we got a couple of really good attempts in on the Lurker, and we consolidated all that last night with a decisive kill. Congrats to Vortron and Torqya on their new boots, and Byza on his new bracers. 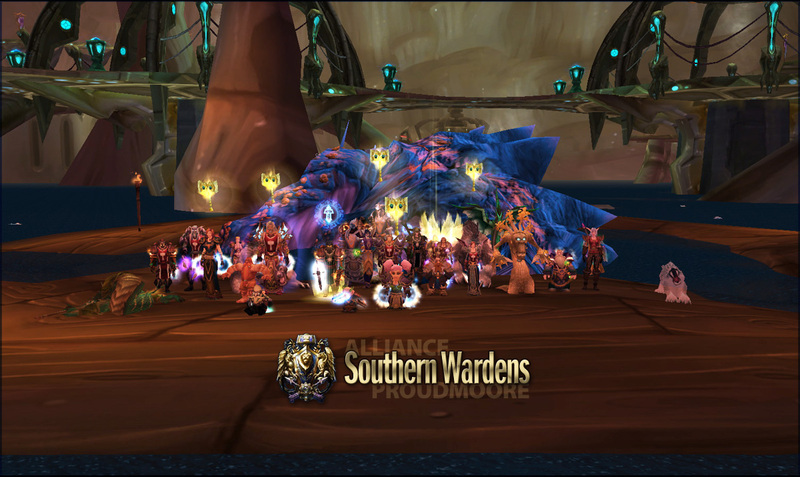 We're a mature casual guild who take raiding seriously. We're open for interested people and former Wardens right now; for more information, check out our Recruitment page!